Syria's Bashar al-Assad gets boost from killing of rebel leader Zahran Allouch. 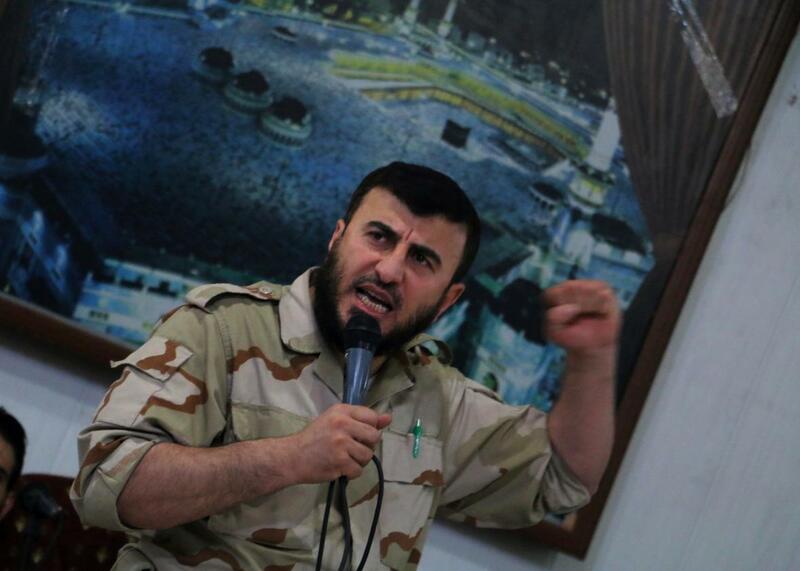 Zahran Alloush, head of the Jaish al-Islam Syrian rebel group, speaks during the wedding of a fighter in the group on July 21, 2015, in the rebel-held town of Douma, on the eastern edges of the Syrian capital Damascus. Alloush, head of the powerful Jaish al-Islam Syrian rebel group, was killed along with five other commanders on December 25, 2015, east of Damascus, the Syrian Observatory for Human Rights and Syria’s opposition said. Rebels in Syria were in mourning on Saturday after the head of one of the most powerful insurgent groups in the country was assassinated in an airstrike near Damascus on Friday. The killing of Zahran Allouch, the head of the Army of Islam, marks a big blow to the militant groups opposing the government. It doesn’t just mark a big threat to the rebel control over the eastern suburbs of Damascus but “disarray among the rebel forces could also consolidate Syrian President Bashar al-Assad’s control over the rest of the area,” notes Reuters. The assassination could also provide a “morale boost to Assad’s beleaguered forces,” points out the Washington Post. Critics accused him of sectarian politics and brutal tactics similar to that of the Islamic State group. He is blamed by other opposition groups for the December 2013 disappearance of four prominent activists, including human rights activist and lawyer Razan Zaytouni. He has denied holding them, although they were abducted from an area under Army of Islam control. The Army of Islam quickly appointed Essam al-Buwaydhani, a field commander known as Abu Hammam, as its new leader.